Andrew Harnik-Pool/Getty ImagesDr. Christine Blasey Ford. Christine Blasey Ford’s attorneys scolded the FBI in a new statement on Wednesday night, shortly after Sen. Mitch McConnell set in motion a procedural vote on Brett Kavanaugh’s confirmation to the Supreme Court. Ford has accused Kavanaugh of sexual assaulting her while they were in high school. She sat for an hourslong hearing in front of the Senate Judiciary Committee last week, during which she recounted the details. Kavanaugh denies the accusation. Attorneys for Ford say they had one conversation with FBI general counsel Dana Boente on Friday night, hours after President Donald Trump ordered the agency to reopen an investigation into Kavanaugh. Since then, Ford’s attorneys say they have heard nothing, despite several letters and emails sent to the agency offering permission to interview their client. 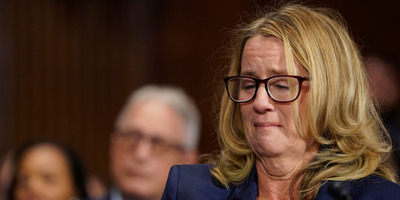 “We are profoundly disappointed that after the tremendous sacrifice she made in coming forward, those directing the FBI investigation were not interested in seeking the truth,” Ford’s attorney said. Ford’s lawyers have been trying to get the FBI to interview their client about her claim that Kavanaugh sexually assaulted her when they were in high school. Ford sat for an hourslong hearing in front of the Senate Judiciary Committee last week, during which she recounted the details. Kavanaugh denies the accusation. Senate Majority Leader Mitch McConnell on Wednesday night announced the procedural vote on Kavanaugh’s confirmation would happen on Friday. A final vote could come as soon as Saturday. Lawmakers expect to receive the FBI’s supplemental report on KavanaughThursday. Ford’s lawyers again criticised the FBI for not reaching out to them. “An FBI supplemental background investigation that did not include an interview of Dr. Christine Blasey Ford – not the witnesses who corroborate her testimony – cannot be called an investigation,” the statement reads in part.